Home › Tips › Cigar Club as a Christmas Gift? It’s time for holiday shopping – but you’re dreading a few people on your list. They are just so hard to shop for. Will you play it safe and go with a gift card, or would a gift to a Cigar Club blow their socks off? Here’s our gift guide with the best deals for 2018! We all have one or two of those people on our shopping list… a father-in-law, brother, or husband who is impossible to shop for. Gift card? Been there, done that (year after year). A nice bottle of wine or spirits? Maybe, but we don’t know what they like. A gift basket? Overpriced! But wait… what about cigars? Now you’re on to something! So you log on to a cigar retailer, but you’re quickly overwhelmed. Do they like full-bodied or mild? Churchill or robusto? Maduro or Connecticut? Relax. Take a deep breath. And consider giving a membership to a cigar club. It’s Easy – in fact, we’re making it even easier on you since we’ve already reviewed the cigar clubs and picked the best of the best. It’s Classy – there’s just something magical about cigars. They’re associated with success, ruggedness, celebration, and mystery – all rolled up (pun intended!). It’s Unique – when’s the last time they got such a unique gift. How about never?! It also solves the problem of not knowing what kind of cigars they like. Cigar Clubs always include a variety of sizes, strengths, and styles in each shipment. In fact, that is part of the fun. You get to try cigars that you may not have picked. We’ve certainly discovered some new favorites this way. So now that you’re convinced a cigar club membership would make a great gift, let’s take a look at which club to choose. Two cigar clubs clearly stand out in our reviews, so let us help you pick which would be the best fit. First up is our Editors’ Choice winner – the Premium Cigar of the Month Club. You can read the full review here or just take our word – this is the cream of the crop. 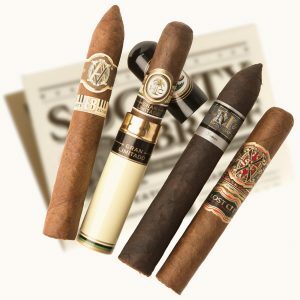 You get five hand-rolled, premium cigars with retail values between $6-$12 per cigar and a newsletter with tasting notes, cigar specifications, cigar maker profiles, and suggested drink pairings. The club normally costs $27.95 / mo (+$5 S&H), but we’ve got some discounts below that will bring the price down, saving you up to $25! This club is perfect for the “average Joe” kinda guy. The guy who picks a beer over a bourbon. Who fires up the grill even in the dead of winter. The guy who actually enjoys mowing the lawn. In other words, this club is ideal for someone who isn’t a cigar “aficionado” – someone who just enjoys a good cigar now and then. On the other hand, perhaps there is a man in your life that does indeed enjoy cigars regularly. The kind of guy who picks a port over a porter, who dresses to impress, and enjoys the finer things in life. Then you’ll want to pick the Rare Cigar Club (full review here). At $42.95 per month (before shipping and discounts), it’s definitely pricier – but for a good reason. You get 4 rare, small-batch cigars per month that retail between $12-$25 each. These cigars consist of varying shapes, sizes, and tobacco blends, hand-crafted by extremely limited-production, boutique manufacturers, as well as cigars from super-premium brands. 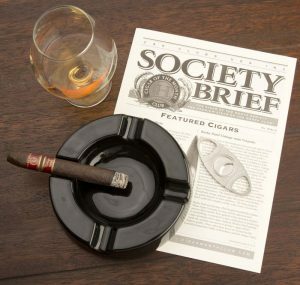 Like the Premium Cigar of the Month Club, you’ll receive a monthly newsletter with detailed tasting notes, cigar profiles, manufacturer histories, and suggested alcohol pairings. Don’t forget to use the discounts below to save a few bucks! As promised, we have some discount codes just for you! Here’s the thing – you really can’t go wrong with either choice! 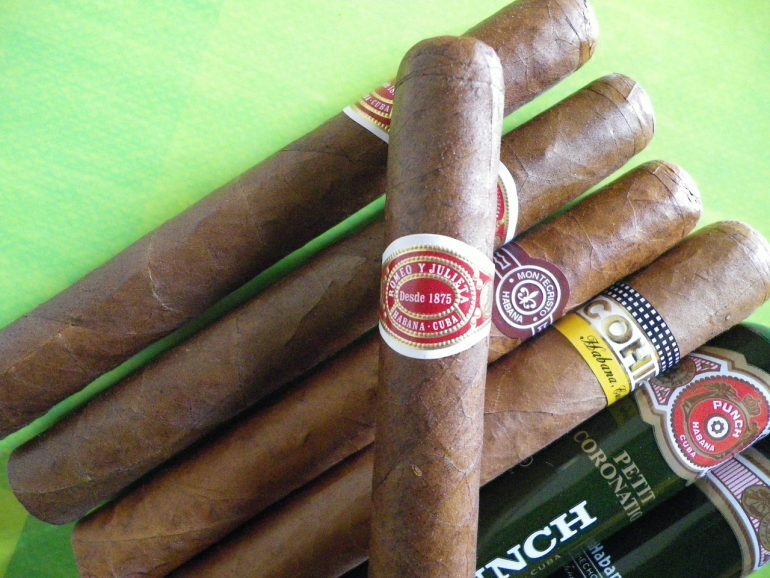 As cigar lovers ourselves, we’d be thrilled to receive either club as a gift (hint, hint Santa!). So make it easy on yourself this year and give the gift of a cigar club membership to your loved-one. From your friends at Cigar Club Reviews, Merry Christmas!